We are biased, winter is our favorite time of year in Montana. There is nothing better than living in a snow globe and seeing Lone Peak dressed in white. Below are a few of our favorite winter activities. Join us on one of our hosted winter experiences this winter. We find there is no better way than to soak it all in than by slowing it down. The silence of winter, the powder coated trees, and the crisp air make getting out into the wilderness of Big Sky in the winter time our favorite activity. 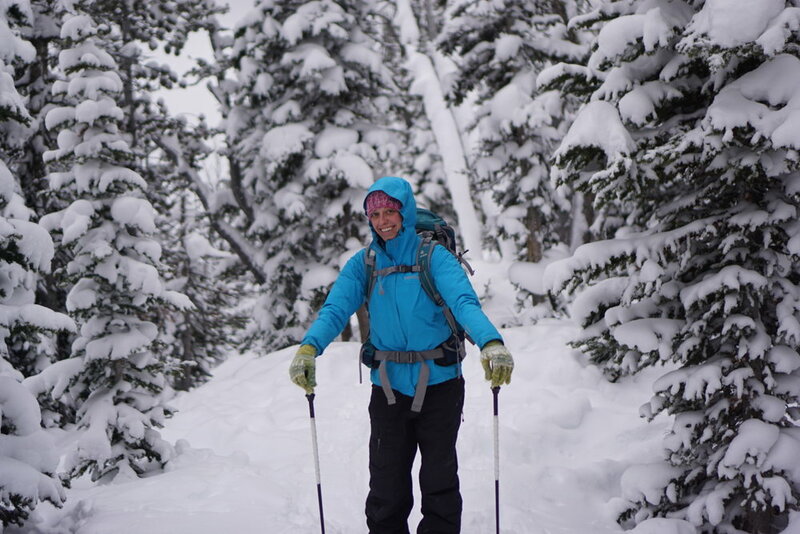 Join us on one of our Headwaters Hosting led snowshoeing adventures this winter. This place doesn't need much of an explanation. It's claim to fame as "The Biggest Skiing in America" will have you exploring new terrain for days. Check out everything they have going on here. If you have the time in your schedule and haven't tried dogsledding it is time to check it off the bucket-list. Spirit of the North dogsledding adventures provides the perfect experience in the beautiful setting that is Moonlight Basin. Lone Mountain Ranch has 85km of carefully maintained woodland trails in Big Sky. For those looking to get off the groomed trail, there are plenty of cross country skiing excursions in the area we can recommend like this one on fawn pass just inside Yellowstone National Park. Our favorite time of the year to visit Yellowstone is in the winter. To see nature in its raw form without the crowds there is no better time. The thermal features are much more dramatic under colder temperatures and the wildlife often sticks closer to the groomed roads.